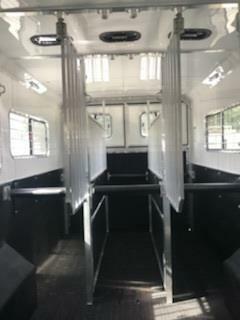 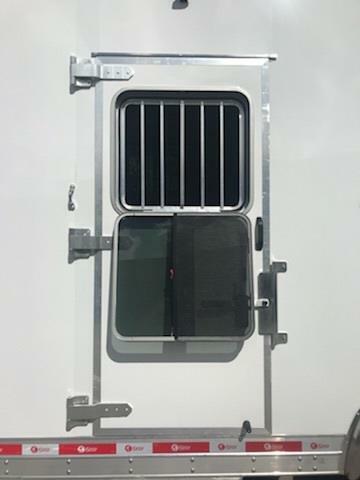 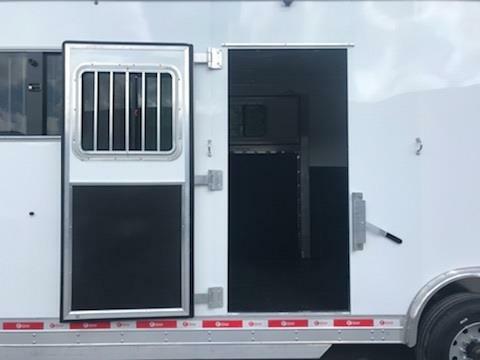 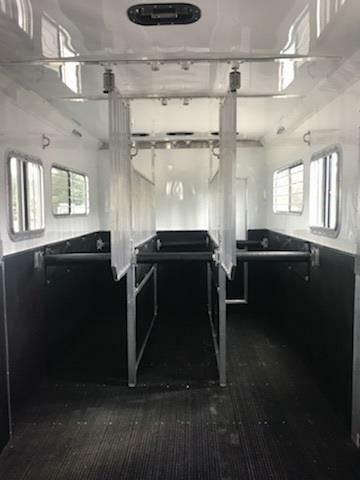 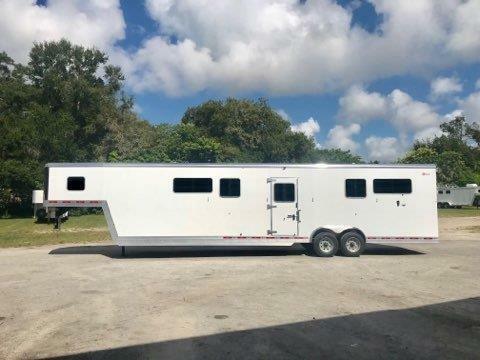 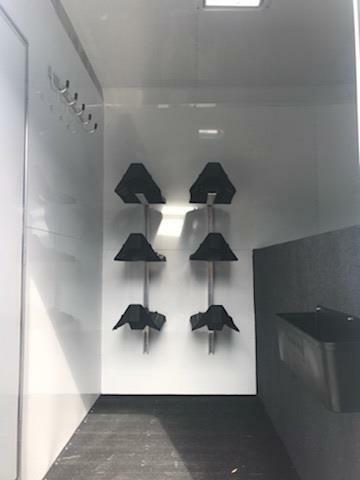 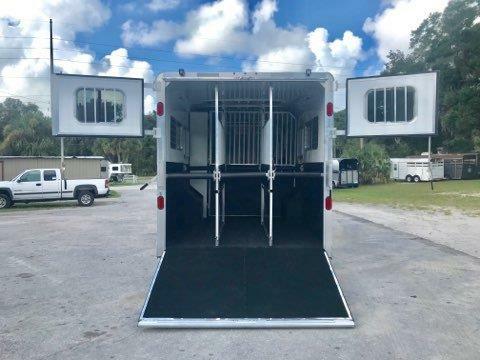 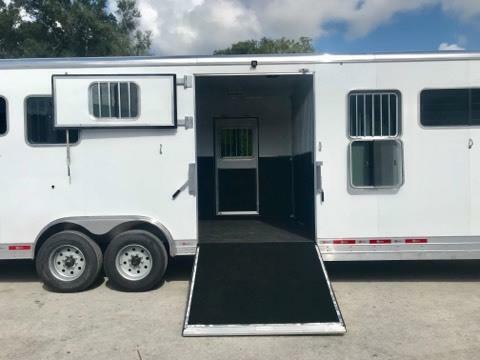 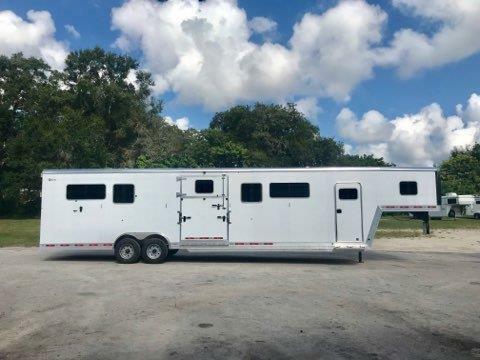 2019 Kiefer Genisus (6) horse head to head trailer with a front tack room that has a (6) tier saddle racks, bridle hooks, completely insulated and lined, brush box and a walk thru door into the horse area. 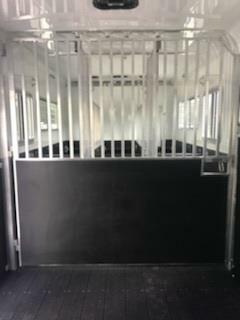 In the horse compartment you have an interior height of 8’ tall x 8’ wide, escape door with a drop down window and drop down aluminum bars, full airflow stud dividers that can compress and make two California Stalls, air flow center gates making a center box stall, completely insulated walls and ceiling, rubber lined walls, RUMBER FLOORING, side ramp with dutch doors and a rear ramp with dutch doors! 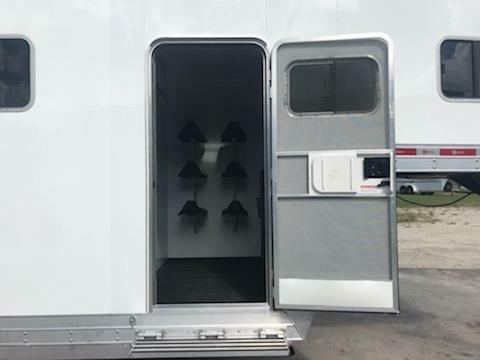 The exterior has Electric over Hydraulic Brakes with 17.5 wheels. 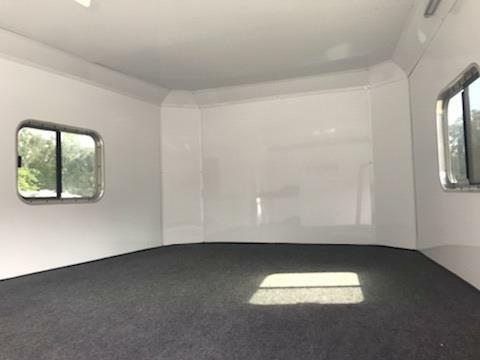 Website Created and Hosted by Quick Draw Solutions.